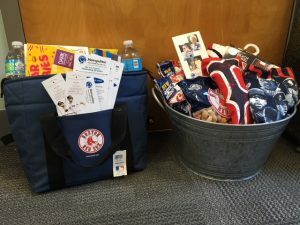 Metropolitan Home Health Services, Inc. is supporting the Medford Council on Aging with a donation of Red Sox tickets for a fundraiser event in efforts to benefit the Medford Senior Citizens, Inc. On Friday, May 4th, the Medford COA will hold the event, “MEAT Bingo” at the Medford Senior Center. Medford Council on Aging is the primary advocate for Medford’s older adults. The Council evaluates, promotes, encourages and provides new and existing services that are intended to enhance the quality of the lives of elder residents in the city of Medford. Metropolitan Home Health Services, Inc. is proud to be a partner in the supportive efforts of the Medford Council on Aging. This entry was posted in News and tagged fundraiser, medford council on aging, Red Sox tickets. Bookmark the permalink. Both comments and trackbacks are currently closed.